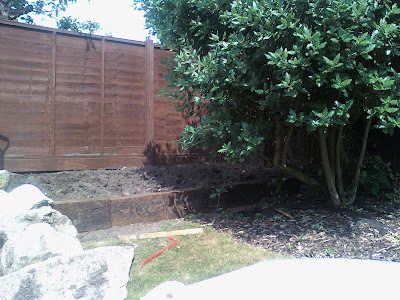 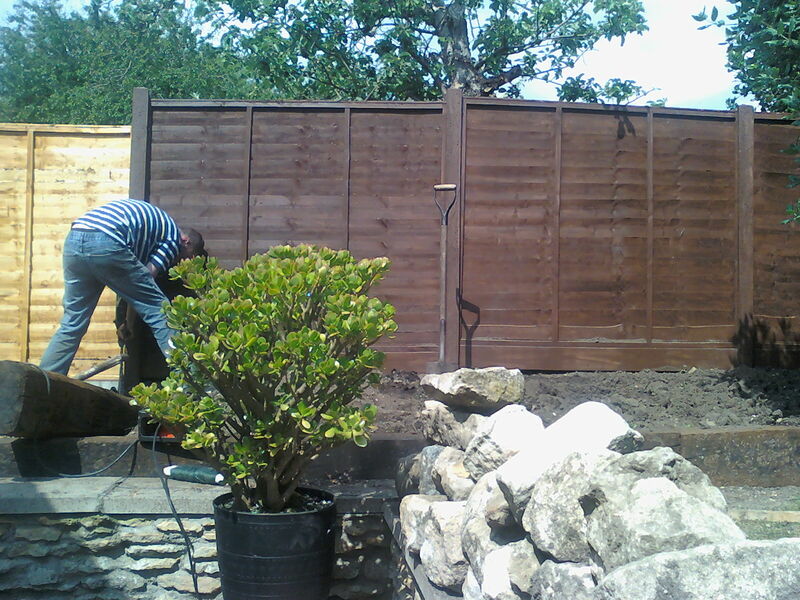 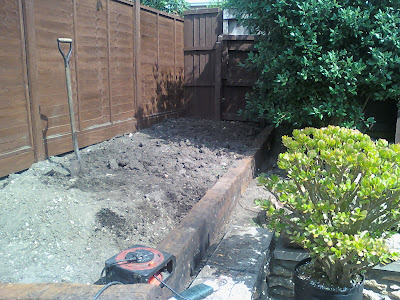 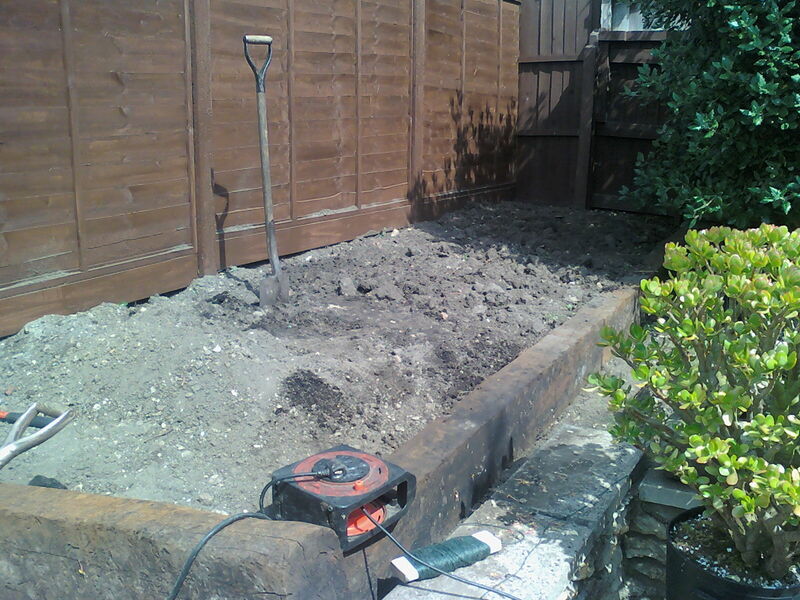 This Saturday my project was to cut in 3 large old railway sleepers into the corner of a garden and create a raised flower bed. The job involved cutting out 2 foundation blocks to allow the sleepers to sit in properly. 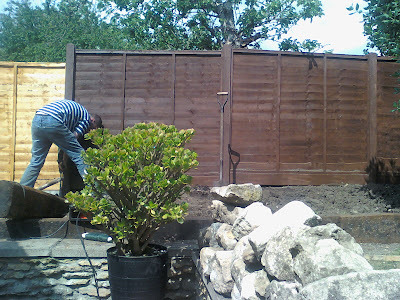 6 Man hours later the job was complete with another satisfied Ruskingtonian! View of the sleepers in place and the earth works part completed. 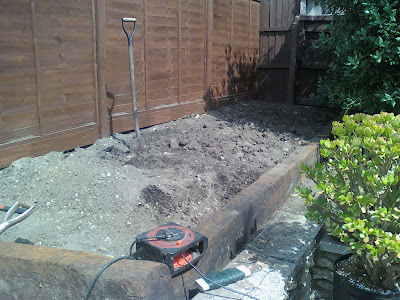 Digging over the raised bed to level it out.